The use of someone else’s personal information can result in any number of charges relating to the theft of identification. This is a very serious crime that can result in state or federal charges—possibly even both. As technology continues to advance and evolve, the different ways this crime can be committed also continue to grow. However, this has also led to more legal statutes or amendments that define illegal uses of identification and increase penalties for convictions. If you have been charged with illegally using another person’s identity or personal information, you should seek legal representation as soon as possible. 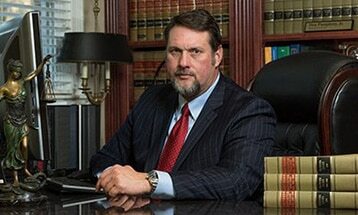 Pumphrey Law represents people all over Northern Florida who have been accused of white collar crime. Our Leon County criminal defense attorneys serve clients in Tallahassee as well as such communities as Monticello in Jefferson County, Bristol in Liberty County, Saint Marks in Wakulla County, and Perry in Taylor County. We are dedicated to pursuing the most favorable outcome to every case we handle, and we can review your case when you call (850) 681-7777 today to schedule a free consultation. What are Florida’s laws regarding illegal use of another person’s identity? How much prison time and what amount of fines are possible if convicted? What are the federal laws in relation to using another party’s personal information? How can I defend myself against these charges? If the pecuniary benefit, the value of the services received, the payment sought to be avoided, or the amount of the injury or fraud perpetrated is less than $5,000 and the person fraudulently uses the personal identification information of less than 10 individuals, this is a third-degree felony. If the pecuniary benefit, the value of the services received, the payment sought to be avoided, or the amount of the injury or fraud perpetrated is $5,000 or more or if the person fraudulently uses the personal identification information of 10 or more individuals, but fewer than 20 individuals, this is a second-degree felony punishable by a mandatory minimum sentence of three years in prison. If the pecuniary benefit, the value of the services received, the payment sought to be avoided, or the amount of the injury or fraud perpetrated is $50,000 or more or if the person fraudulently uses the personal identification information of 20 or more individuals, but fewer than 30 individuals, this is a first-degree felony punishable by a mandatory minimum sentence of five years in prison. If the pecuniary benefit, the value of the services received, the payment sought to be avoided, or the amount of the injury or fraud perpetrated is $100,000 or more or if the person fraudulently uses the personal identification information of more than 30 individuals, this is a first-degree felony punishable by a mandatory minimum sentence of 10 years in prison. Willful and unauthorized possession, use, or attempt to use another person’s personal identification information without first obtaining his or her consent and done for the purpose of harassing that individual. This is a first-degree misdemeanor. Willful and unauthorized fraudulent use of the personal identification information of a person younger than 18 years of age or 60 years of age or older without first obtaining that person’s consent. This is a second-degree felony. Willful and fraudulent creation, use, or possession with intent to fraudulently use counterfeit or fictitious personal identification information concerning a fictitious individual or a real individual without first obtaining that real individual’s consent and with the intent to use such counterfeit or fictitious personal identification information for the purpose of committing or facilitating the commission of a fraud on another person. This is a third-degree felony. Receiving any property for personal use through false impersonation or representation of another person. A person convicted of this offense is punished as if he or she had been convicted of larceny. Possessing the personal identification information of four or fewer persons is a first-degree misdemeanor. Possessing the personal identification information of five or more persons is a third-degree felony. Pumphrey Law fights criminal charges for clients all over Leon County and surrounding areas such as Madison County, Bay County, and Okaloosa County. Our experienced criminal defense attorneys are licensed to practice in all Florida state courts as well as the United States District Court for the Northern District of Florida. We help people throughout Tallahassee and nearby communities like Callaway, Crestview, Destin, Fort Walton Beach, Lynn Haven, Mary Esther, Niceville, Panama City, Parker, and Springfield. You can let our firm review your case and explore your legal options when you call (850) 681-7777 to take advantage of a free consultation.